This is my P115 wing. 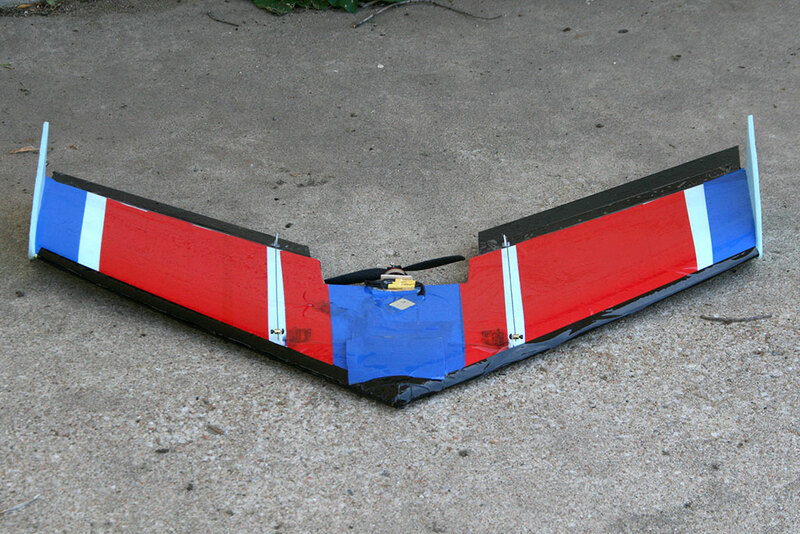 The wing itself was cut out of blue foam by RCGroups’ Papo. You can see some build pictures, here. CG – 7 1/8″ from the nose. Elevons 1/4″ balsa, 2″ deep. This entry was posted in Building, Custom & Modified, Flying Wings, My Fleet, My Planes, R/C Planes, Scratch Built. Bookmark the permalink.